» You Can’t Just Snap Out Of It, now free for amazon kindle for a limited time! Our book is now out on amazon ($17.95 $3.49). The kindle version is free for a limited time here, and the pdf version will be posted here for a limited time here. 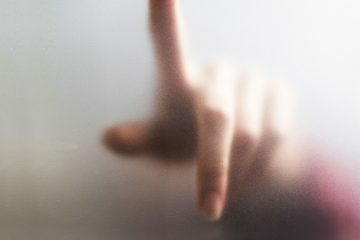 Psychological trauma can put a stranglehold on your life. Childhood abuse, car accidents, the sudden death of a loved one, the list goes on and on. You try and put things in the past and forget about them, but it can be hard to move on. Your friends and family tell you to “get over it,” “move on,” and “just snap out of it.” You try, but it’s not that easy. The more they tell you things like that, the worse you feel, because now you are a failure, in addition to everything else. But there is a better way. 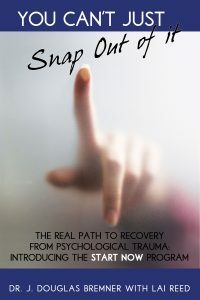 YOU CAN’T JUST SNAP OUT OF IT will teach you how to take charge of your recovery from psychological trauma. It gives you tools to put you on the road to recovery, like stress reduction techniques, meditation, mindfulness training, and anxiety reduction strategies, as well as changes in lifestyle that can improve your mood and how you feel about yourself. We also offer tips to partners and families to help them understand what you are going through, because loved ones may hold the key to your recovery. The book introduces the START-NOW Program, which we have developed. It incorporates an easy-to-remember acronym that spells out an eight-point plan to recovery, teaching principles like seeking safety, talking about trauma, learning altruism, and many others. This book lets YOU be in charge of your recovery, and it won’t cost you an arm and a leg. Taking charge of your own recovery from psychological trauma is a powerful tool. So what are you waiting for? START-NOW! Get YOU CAN’T JUST SNAP OUT OF IT in kindle and paperback on amazon here.